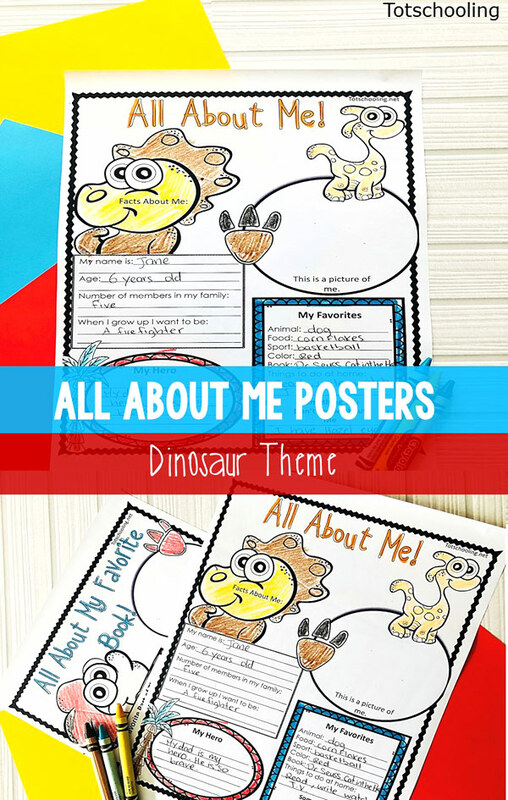 These dinosaur themed back to school all about me posters will be a hit with your kindergarten and first grade students. Posters include themes such as summer vacation, all about me, all about my birthday, all about my favorite book and all about our class. These will work well with a dinosaur themed classroom or simply for a back to school about me activity. Print as many posters as needed for your students (1 each). Choose the poster sets you would like to work on and print those. 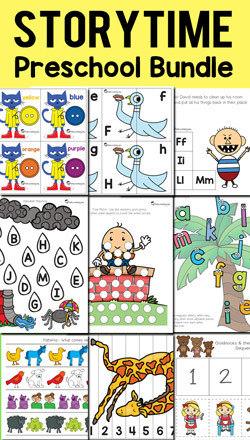 It’s recommended that you do one at a time so that the kids can understand and fill the prompts on each poster. These posters are so simple to use and you could hang them to decorate your class after the kids are done filling them out! For the all about me posters – these are great to do during back to school morning work or as a class activity for the first week of school. Get to know your students in a fun way! 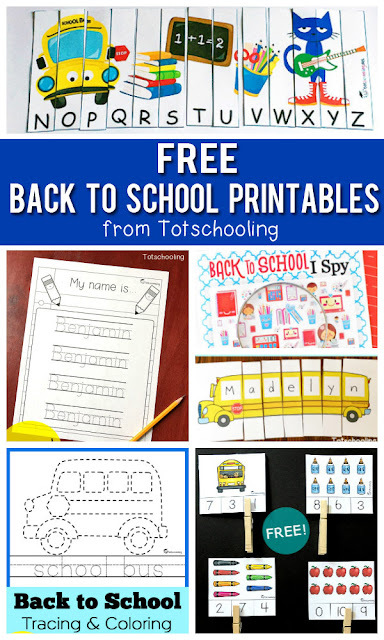 Have the kids fill them out, decorate and color their posters, then hand them back to you so you could hang them in your class. The All About My Favorite Book poster can be used over and over again year round. I find that every time the class reads a book each month or every week – the kids can show what they’ve learned about this book by filling their own personal ‘All About My Favorite Book’ poster. You could also do the All About My Class and All About My Summer Vacation posters during back to school time. The kids can get to know each other in a fun and engaging way! Click Here to Download your FREE All About Me Posters! The idea of doing dinosaurs on this subject is very good. I will try my child. I learn some new stuff from it too, thanks for sharing your information.Bookmarked this site. You absolutely have wonderful stories. Looking forward for more different themed versions like that one.